3-2-1 blast-off...in our authentic astronaut's uniform! 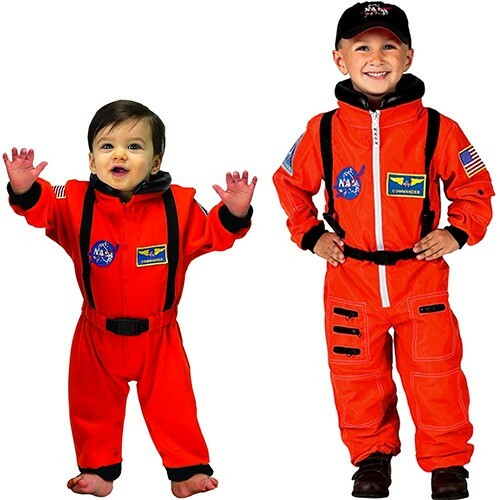 Role-play tough poly jumpsuit features real NASA patches, buckles, and leather-like collar. (The quality is out of this world!) Adjustable cap included. For more empowering costumes for your Mighty Girl, visit our Costume & Dress-up section.